University Project: Implement a 3D rendering pipeline, written in C++ using Win32 GDI. Consists of a set of geometric operations and rasterisation. Imports 3D models stored in Alias Wavefront OBJ format. Displays object by performing a series of matrix transformations: model to world, world to view, and view to view port. Filling with scanline or GDI. Ambient, diffuse and specular lighting. Linear interpolation of per-vertex shading. Idle rotation along all 3 axes simultaneously. Choice between several different models to load and display. Arrow keys translate camera and zoom in and out. 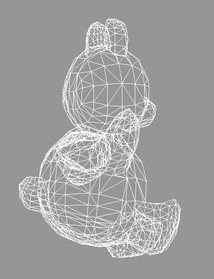 Bear rendered in wireframe with backface culling turned off. Teapot lit per-face, using GDI. 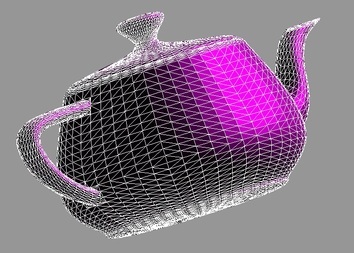 Teapot lit per-vertex, using linear interpolation.